BRYAN EATON/Staff photo. 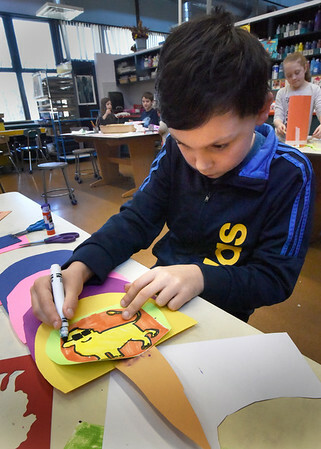 Camden Walton colors in a lion on the bottom of an ice cream cone he created in Karen Greenfields art class at the Cashman School in Amesbury. Students were working on different projects including them using their own creative expressions of ideas.